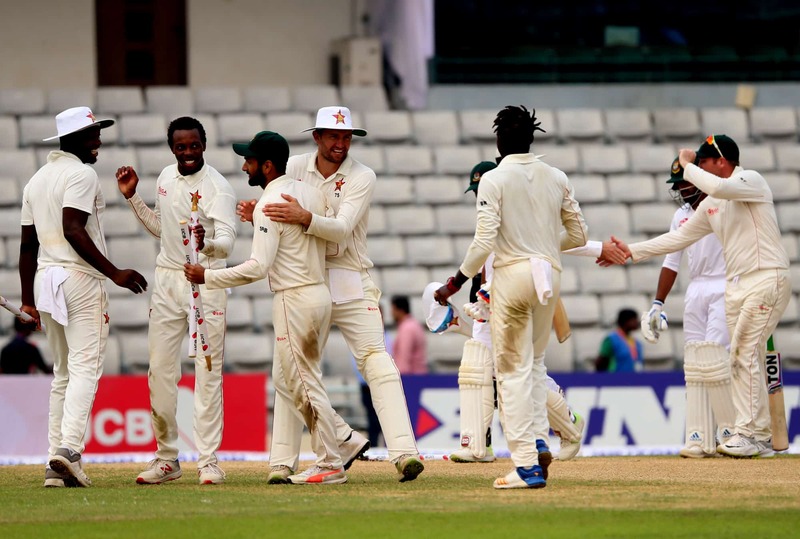 Zimbabwe captain Hamilton Masakadza has hailed his side’s terrific 151-run victory over Bangladesh in the first Test played at the Sylhet International Cricket Stadium, describing it as a “special and proud moment”. Not only was it his first win across all formats since he was appointed captain mid-year, this was also Zimbabwe’s first Test victory in five years and the first one abroad since November 2001, when they beat Bangladesh in Chittagong by eight wickets. “I am absolutely thrilled as this is my first victory as captain and first Test victory away from home as well,” Masakadza, who led the team from the front with crucial knocks of 52 and 48, said after the match. Before this Test series, Zimbabwe had come close but still failed to cross the line in some of their limited-overs matches against South Africa and Bangladesh. “I am ecstatic to have won this Test match in Bangladesh, the first time winning away from home. It’s a great feeling giving us goosebumps all round,” Williams said. “I would like to thank my team for a really hard-fought game, extremely tough game,” he added. “This victory speaks volumes of our character, courage that all the boys have showed out there,” the all-rounder said. “Some people may still be – and I am one of them – living in the nightmares of the (World Cup) qualifiers but this will take the edge off them.